The Manton Apple Festival would like to thank our many fine sponsors for helping make the festival such a success. Their support helps us carry out much of our community service work. 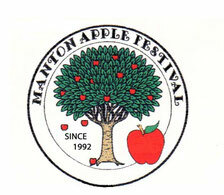 The Manton Apple Festival qualifies as a 501(c)(3) organization. Additional sponsors are always welcome. Contact us.